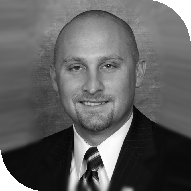 Serving the Gahanna area, Toby provides the personalized investment guidance you need to help make your financial goals a reality. Using a personalized, one-on-one approach, Toby works closely with you to develop an investment plan that works for your unique objectives. I have been happily married since 2004 and am blessed with one child. We have lived in the Columbus area for many years. When I am not helping my clients, I enjoy spending time with family, training for Ironman distance events, and traveling. I have been in the Financial Services Industry since 2003.